Gum disease might not be a headline-grabbing news story like cancer, but it is a condition that, according to the British Society of Periodontology, affects more than 45% of adults in the UK. The technical name for gum disease is ‘gingivitis’, and is a disease that affects the gums, causing inflammation and bleeding. The good news is, if caught and dealt with early enough, the condition can be treated and reversed. Sadly, if gingivitis is not treated early enough, it can progress to periodontal disease. This article is a guide to gum disease and all you need to know about the condition, from the causes, through to the treatments. If you want the quick facts of the article without the explanation, the following bullet points are for you. Gingivitis is inflammation of the gums caused by bacteria found in plaque. If treated early enough it is a fully treatable and reversible condition. Everyone is at risk of gingivitis, but some are at a higher risk. Symptoms include red, swollen, and bleeding gums. Treatment is usually professional cleaning, followed by a good oral hygiene routine. The cost of treatment is low in comparison to most other dental conditions. Best investment you can make is in yourself by perfecting your brushing techniques. If left untreated it can develop into periodontitis which can cause irreversible damage, including tooth loss. If you can spare a few minutes though, it is well worth reading the entire article to get a full understanding of gum disease. 8 out of 10 people aged 35 and over suffer from some kind of gum complaint. Periodontal diseases are the most common conditions to afflict European populations, but are among the least acknowledged. Periodontal disease can cause tooth loss. Periodontal disease can affect the rest of the body. Periodontal diseases do not tend to cause pain or intense discomfort. The most frequent symptom is bleeding gums. Periodontal diseases represent a major cause of expenditure in the adult and elderly population. 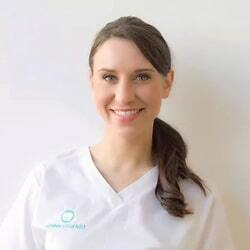 Here are some extra facts and insight from Dental Hygienist, Anna Middleton, also known as the London Hygienist. Don’t go soft on you oral hygiene routine. More time in the bathroom could lead to extra hours in the bedroom! Men who suffer from gum disease are twice as likely to have erectile dysfunction. The average Brit spends £196 a year on dental products to look after their oral health. Lying through your teeth doesn’t count as flossing. I know we moan & nag about it as hygienists but cleaning in between your teeth is essential alongside good brushing in preventing gum disease & dental decay. 83% of adults in the UK show signs of gum disease! A hygienist appointment can identify if you have gum disease and what treatment you may need. Corsodyl isn’t the answer to your problem! Mouthwash is an adjunct and should only be used in addition to effective brushing and cleaning in between the teeth. They don’t do much apart from offer extra fluoride and freshen breath. They can’t penetrate plaque and they don’t go below the gum line ! It’s like wearing perfume but not having a shower. If you like the feeling then be sure to brush & ID clean first and use at a separate time to brushing and chose an alcohol free one! Only 2⁄3 of Brits brush their teeth twice a day. 1⁄3 of Brits only once a day & primarily in the morning when it has the least effect . 2% don’t brush at all! 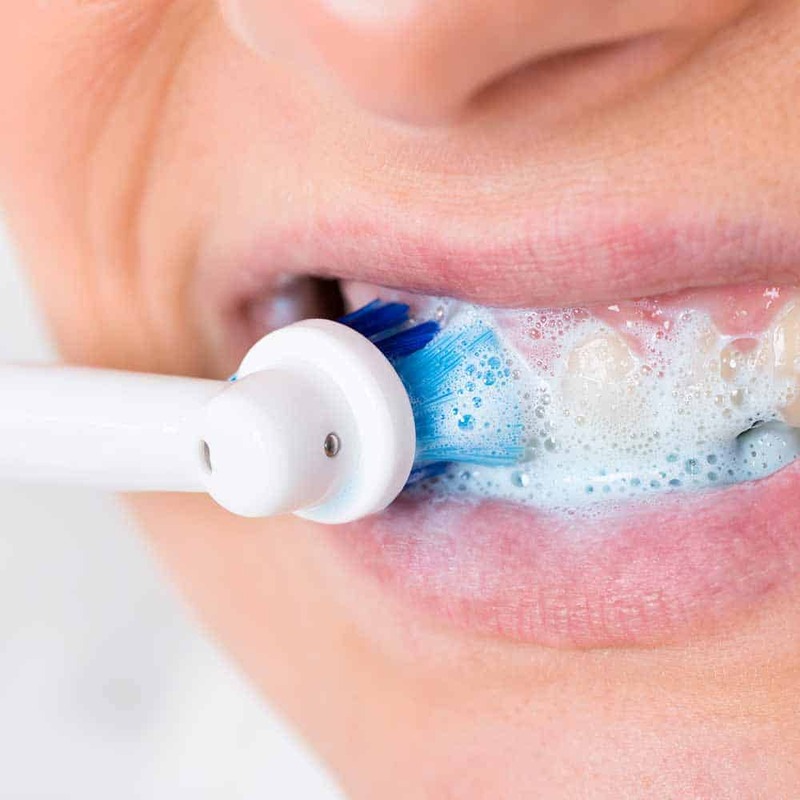 1 in 10 admit they regularly “forget” to brush. Switch from a manual to an electric toothbrush for 7x more plaque removal and improved gum health in just 2 weeks. I recommend Philips Sonicare. Flossing is frequently ignored, with 1 in 3 adults (37%) admitting they never take the time to floss, despite the fact that 63% know it helps to avoid gum disease. When questioned why they don’t floss more regularly, 27% said they couldn’t be bothered. Chronic gum disease is a silent and often patients are surprised to learn they have the disease. Just because your teeth or gums don’t hurt, doesn’t mean that there could not be a problem. Think of it like this, some people don’t realise they have high cholesterol until they have a heart attack. Regular appointments to the dentist / hygienist are essential in being able to screen the health of your gums which I do at every appointment. According to the Oral Health Foundation, gingivitis is defined as ‘inflammation of the gums’. To you and I, this means the gum tissue around our teeth is irritated and usually look very red and swollen. The gums can be tender to the touch and will normally bleed. In the case of smokers, the gums may not bleed despite infection because smoking reduces the blood supply to the gums. Bleeding is not a good sign and it is not normal. Healthy gums that are free from any disease do not bleed. Gingivitis is the first of 3 main stages associated with gum disease. At this stage the condition is reversible with no lasting damage to the teeth and gums. The second stage is periodontitis and the third, chronic periodontitis. At each stage, the condition worsens, the pain and discomfort increases and the consequences are more severe. As the disease progresses, the bone the holds the teeth in place is destroyed. Tooth loss is a very probable result of failing to treat gum disease. In the world of dentistry, there are the ‘technical/medical’ names and then there are the more consumer-friendly names for conditions and parts of the mouth and tooth. It is worth noting that ‘periodontal disease’ is the more technical definition for all types of gum disease. Whilst you and I can generally refer to gum disease as 1 condition with 3 stages of severity, dental professionals tend to look at them a little more separately, although they are very much linked. General dentists are trained in the treatment and diagnosis of periodontal disease. 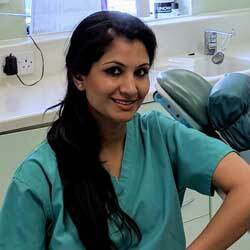 A ‘periodontist’ is a dentist training and qualification. A periodontist has specialised in the prevention and treatment of diseases of the tooth-supporting structures. In cases where the gum disease is advanced, or not responding to normal treatment, a general dentist may refer you to a periodontist, so that you get the best treatment. Gum disease is bleeding gums caused by a build of plaque bacteria. There are some conditions that put you more at risk of gum disease such as poor oral hygiene, smoking, medical conditions, genetics and stress. How is a tooth held in place? To understand gum disease, you first need to know that teeth are held in place by bone and ligaments. The “gum” is the soft pink covering (mucosa) that covers the top layer of this bone. 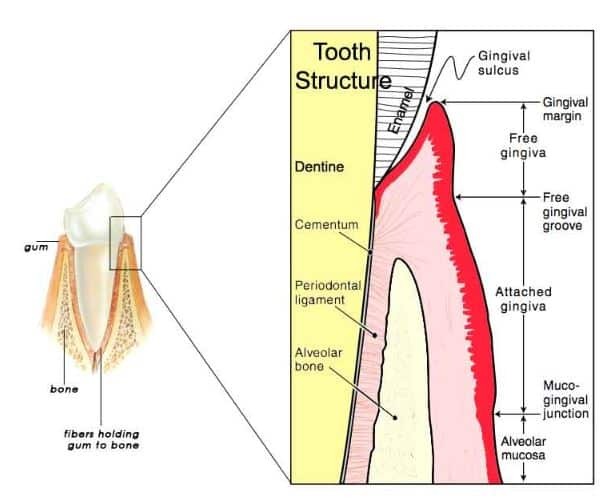 In healthy gums, there is a small space between the bone and gum, and the tooth. This space is called the gingival sulcus. In health, the gingival sulcus is 1-3mm deep. Below this point, the bone is joined to the tooth by the periodontal ligament. So what causes gum disease? We have over 600 types of bacteria in our mouths. This is completely natural and normal. You have probably heard of plaque, it is the reason we clean our teeth. Cleaning our teeth properly removes plaque. Plaque is formed by bacteria. Over the course of a day, the bacteria and their waste products (not only acid, but also food debris) it develops into a thick, sticky colourless film on our teeth, called plaque. If you run your fingernail over your teeth, you may feel this stuff sticking to it. Plaque even forms in the tightest of spaces within the mouth. This includes the gingival sulcus. When we brush, the bristles of the brush head reach under the gumline (when done correctly) and clean out this sulcus, reducing the amount of plaque present. The plaque is always developing, so failing to clean the teeth at all, or properly, allows the plaque to increase. As the plaque builds, it actually offers a better surface for food debris to stick to and encourages more bacteria to develop. The bacteria in plaque are protected from things which may remove them if the bacteria were not stuck together, for example gentle movement from your tongue. The bacteria that forms the plaque produces toxic by-products. These by-products irritate the gums. Ultimately this leads to the inflammation and redness associated with this condition. Think of it similar to a cut on your arm. You will always have bacteria on your arm. But if you clean them away regularly, they will not cause a problem. If you do not clean and the bacteria are left on the cut, they will cause irritation to the cut skin, causing the skin to become red, swollen, and bleed if you touch it. Long term, if the plaque is not removed from the gum line, and the bacteria are left to produce by-products that irritates the gums, the gums become swollen. The gum will swell so much that the normal height between the top of the bone and the top of the gum is increased -from 1-3mm to 3mm or more. The gum is swollen above the normal level, but there has been no damage to the bone underneath. These are known as false pockets. These pockets actually allow more plaque to accumulate and cleaning becomes even more difficult. By this stage, the condition is known as chronic gingivitis. The condition is still fully reversible, but will require some intervention by dental professionals to achieve this. Longer term plaque hardens into something called tartar or calculus. The visible calculus above the gumline is known more technically as ‘supragingival calculus’ whilst that below the gum is known as ‘subgingival calculus’. Calculus can pick up stains from tea and coffee. Once calculus has formed it is a difficult (but not impossible) to remove with normal brushing. The rough calculus irritates the gum further and is a breeding ground for yet more bacteria. The early stage of gum disease is gingivitis. As described above, this is caused by bacteria and is completely reversible. However, if gingivitis is left untreated, the bacteria continue to cause damage. The bacteria now has a deeper pocket where they cannot be cleaned away so easily. When the bacteria are left in the false pockets, the toxic by-products they produce are also left in the pocket, next to the gum. Eventually these by-products damage the bone that holds the tooth in place. Advanced gum disease is called periodontal disease. In periodontal disease the bone that holds the tooth in place is lost, and eventually the tooth will become loose, and fall out. 83% of adults in the UK show signs of gum disease! Gum disease is inflammation of the tissues around the teeth caused by plaque, which if left untreated can lead to tooth loss. A hygienist appointment can identify if you have gum disease and what treatment you may need. The symptoms people show can differ from one person to another. Red gums, rather than a softer pink colour. Shiny appearance to the gums. Bleeding of the gums, particularly when brushing, flossing or eating. Purple-red patches at the gum line. Regular periods of bad breath. Increased sensitivity in the teeth to hot and cold food and drink. Smokers are at a heightened risk and do not show quite the same symptoms. The nicotine constricts the blood vessels in the gums and causes less bleeding. With bleeding being a common sign for such a condition, smoking masks the disease, which can become more severe before other symptoms develop. Unlike the discomfort suffered with third molars, decay or cracked teeth, gingivitis for the most part is relatively pain free. Most pain, if any is felt when you brush or floss the teeth. Whilst all gum disease is treatable, it is only this earlier stages of gum disease, gingivitis, where the damage can be completely reversed. Left untreated, the symptoms of gum disease, become even more noticeable. Advanced gum disease, periodontitis, has bone loss around the tooth and is a deeper bacterial infection. Movement in the teeth, particularly when biting. Pus coming from the gaps between teeth. Grey or yellow sores inside the cheeks or on the gums. At this stage, the gum disease has actually advanced into periodontitis disease. Irreversible damage will have been done to the gums. 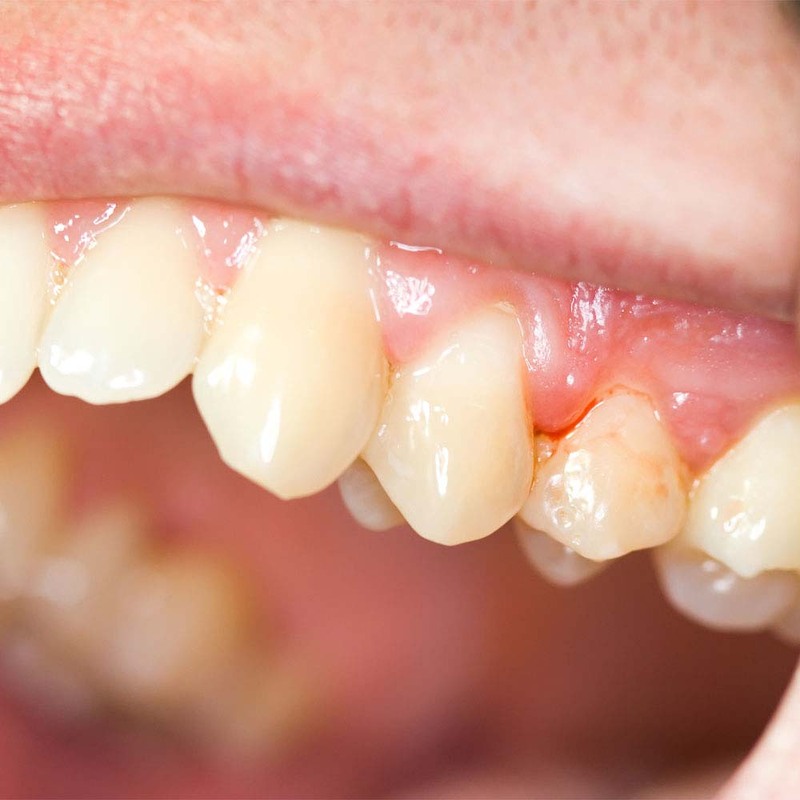 Throughout this article we show a few images of what gum disease can look like, but here are a few gingivitis images for you to take a detailed look at. Let’s be clear, anyone with their natural teeth is susceptible to gum disease. Even if you have implants, you can still get gum disease. However, there are certain medical, natural and lifestyle factors that can increase the likelihood of suffering with the condition. Some of these factors potentially make the experience worse and more difficult to treat. Those more at risk are smokers and diabetics, but others risk factors are included below. Nicotine restricts blood vessels in the gums and masks an obvious symptom so the disease is missed in the early reversible stages. Smoking decreases the success of treatment. Smoking increases the chance of the disease occurring again after treatment. Smoking 1-4 cigarettes a day increases the risk of periodontitis by 50%. Studies have shown that smokers are 3 times more likely to have gum disease and it has been shown that 42% of all the periodontitis cases in the USA were attributable to the act of smoking. Generally, diabetes have reduced wound healing which affects the response to treatment. Poorly controlled diabetes has a greater effect. Undiagnosed diabetes may cause large abscess along the gum. Hormonal changes and imbalances can increase the sensitivity and susceptibility of the gums. Where disease limits the resistance to infection, immunity is compromised. Phenytoin (Epanutin) can cause swelling in the gums, even if the cleaning is very good. A lack of vitamin c can cause connective tissues and capillaries to weaken and studies have shown links between a deficiency and periodontal disease. Where teeth are misaligned or missing and cause for extra stress to be placed on certain teeth or parts of the mouth. Plaque will develop for everyone at different rates after tooth brushing. There are a number of factors that can exacerbate how much plaque exists. Whilst these do not directly cause gingivitis and periodontitis, they affect how well you are able to remove the bacteria. A lack of attention to detail means that tooth surfaces are not properly brushed and interdental spaces flossed clean. The increase in possible stagnation areas for plaque to accumulate. Poorly fitted or finished restorations such as fillings, bridges and crowns offer areas for the plaque to develop, often out of reach of usual cleaning tools. Restricted jaw movement or access to the teeth makes effective tooth brushing more difficult to achieve. A break in the seal of the lips allows for soft tissues to dry out and not benefit from the self-cleansing that saliva would normally offer. The best thing you can do is get a checkup booked with your dentist. Don’t forget, bleeding gums is not normal, and it is not healthy. Getting a professional to look at your teeth and gums and make diagnosis puts you in the best position to resolve the problem. As part of the appointment, if you make them aware of your concerns, they will use special tools to check the gums health and also look for other signs that there may be gum disease present. It might well be there there is little wrong with your gums. If the dentist gives you the all clear, then great, at least you can rest easy knowing that. However, there may well be the early stages of gum disease and it may well be necessary for x-rays to be taken to assess just how far the infection has progressed. These x-rays will show if there has been any bone loss, i.e. if there is periodontitis (and not just early stage gingivitis). Brushing too hard can occasionally cause the gums to bleed, but regular bleeding is not a good sign. Couple this with any other symptoms you may have, then it is simply not worth leaving it, in the hope it will go away or get better on its own. Ideally, you should get regular dental checkups with a dental professional, every 6-12 months. It might seem like an inconvenience, particularly if you are not a fan of the dentist, but developing gum disease can be more of inconvenience! If you are investing in your oral health, you will likely get a clean bill of health and walk out within a matter of minutes. Even where improvement is needed, at least this can be picked up and dealt with before you have to endure greater pain, possible complications and cost. Yes, believe it or not prevention is generally cheaper than the cure when it comes to dental health. For any concerns you may have, you should first go to your general dentist. Even if you are pretty sure you have gum disease, it is probably not worth booking in to see a periodontist straight away. Of course you can, but the cause might be something else and you may well incur cost and time seeing the wrong person. Periodontist are specialists and will likely charge more for their time than a regular dentist. The general dentist can diagnose most issues and often provide initial effective treatment. Only in some cases will it be necessary for you to see a specialist. If this is the case, your dentist will refer you. The following video from the European Federation of Periodontology is 10 minutes long but shares the stories of real patients who have experienced gum disease. There are many relatable points made and thought provoking comments you might take value from. Having booked yourself in for assessment by a dentist, it then focus shifts to the dental professional to actually diagnose what is wrong. To get to that diagnosis, there will be a number of steps that the dentist will need to take. Before the beginning any assessment be that through conversation with yourself or an actual physical examination of the mouth, you should make them aware of the symptoms and concerns you have, this will then be considered as an assessment is made. The appearance and any recession of your gums. 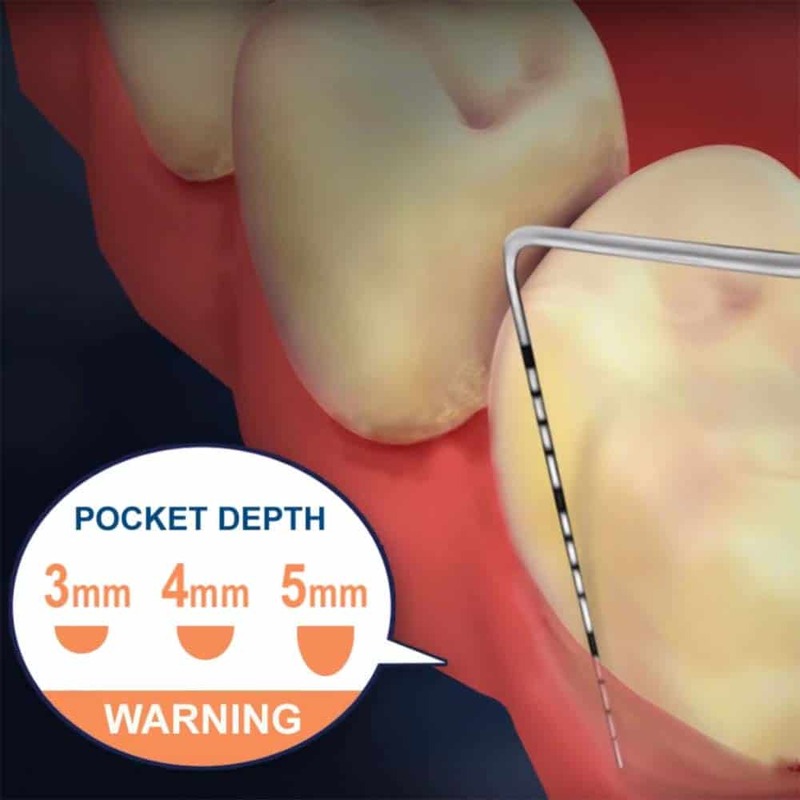 The depth of your gingival pockets. The amount of bone loss (if any). Whether you are a new or existing patient of that dentist, they will ask questions about your medical history. If they have some information from your past records then great, but as this is potentially an ever changing situation, they need to be made aware of any recent changes that might have played a part in the symptoms you now show. As has been explained, certain people are more at risk and less likely to respond to certain treatments, so an understanding of your general health is essential. The dentist will be interested in any past or present illness, any drugs you might be prescribed, any key hormonal changes and whether you smoke or not. With this covered the dentist will move onto the physical examination of the mouth. A trained professional is looking for many clinical signs as part of their examination to determine if periodontal disease is present, whilst ruling out any other possible conditions that could show similar symptoms. They will be looking to see whether the gums bleed on gentle probing, whether they look red and swollen, if there is visible signs of plaque at the edges of the teeth and along the gumline as well as halitosis (bad breath). At this point the dentist will have confirmed whether you have gingivitis or not, but will then be looking at the extent and considering the treatment options that exist. 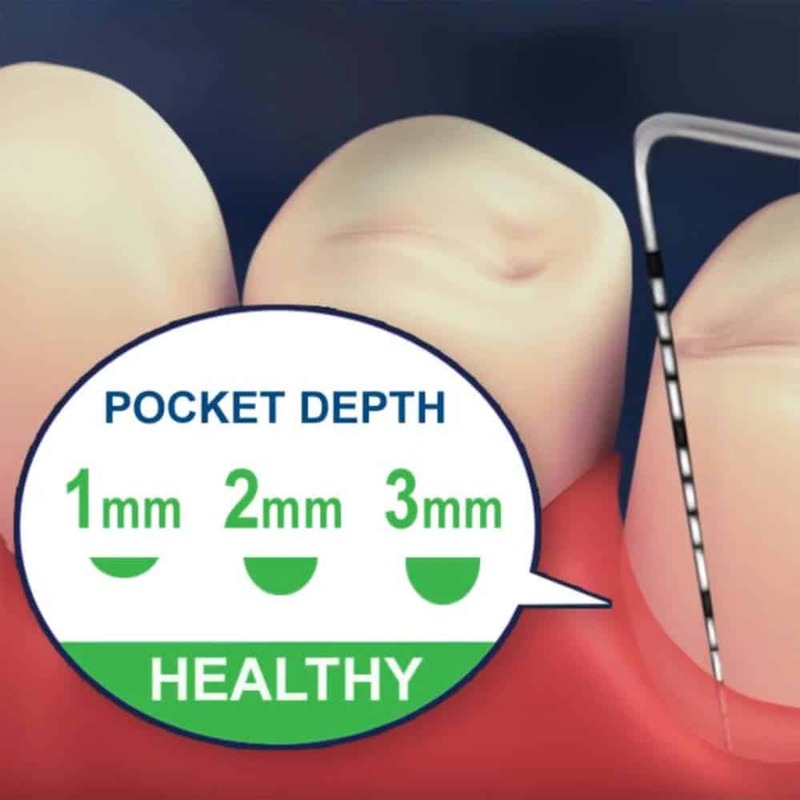 Where the periodontitis is well established and considered clinically to be in a chronic state, the depth of the gum pocket will measure more than 3mm. There will be the presence of calculus above and below the gum line. A small amount of pus may be extracted from the gingival crevice, some teeth may wobble too. An x-ray will give further details on how much damage has been done to the alveolar bone (the bone that holds our teeth in place). Once complete the dentist will confirm the diagnosis and state the severity. This will be then followed with useful information on what can be done to stop further progression, repair and potentially reverse the disease. With the diagnosis confirming gingivitis, the good news is that it is reversible. Treatment for gingivitis is focussed on education – that is, teaching you to remove all the plaque effectively at home. Based on a dentists assessment, personalised recommendations will be made, pay attention to these. For most patients it ultimately requires care and attention on your part. This means more time spent brushing and flossing, something that perhaps lacked beforehand. A professional clean may also be recommended. Your dentist may do this themselves, or refer you to a dental hygienist. This cleaning process will likely involve something called scaling, which is a process that removes plaque and tartar from the teeth, including that hidden below the gumline. Such professional cleaning essentially gives a clean slate, from which you can then take control of maintaining your oral health and managing the condition. In addition to the brushing and interdental cleaning advice you are given, there are specialised mouthwashes that can aid with the treatment and recovery. Your dentist may advise using such, for a short period of time. Corsodyl is an example of one of these mouthwashes. Containing 0.2% of the active ingredient chlorhexidine digluconate, this works within 30 seconds to kill the plaque bacteria which can irritate the gums and cause gum disease. It also forms a protective antibacterial layer over the teeth and gums to prevent plaque build up for up to 12 hours. The downside is that it can cause staining to the teeth and general advice is not to use for more than 7 days. It should also not be used too soon before or after brushing. Learn more about it in our review of Corsodyl. Expect a few tips to be given by the dental team to help you clean your teeth better at home. It will for the most part be up to you now to keep the gingivitis under control through good brushing and flossing and regular dental checkups. Periodontitis also focuses on improving cleaning at home. As well as the basic steps described above, a deeper clean may also be necessary. However, this deeper clean will only be successful if you can remove the plaque well enough at home, and you will need to demonstrate this before further treatment can be started. The hormonal changes that women experience during pregnancy can make the gums more susceptible to plaque. If you are pregnant and experiencing more swollen, inflamed or bleeding gums, there is little need to be overly concerned. It is quite common during pregnancy to suffer with gingivitis even if a good oral hygiene routine is maintained. 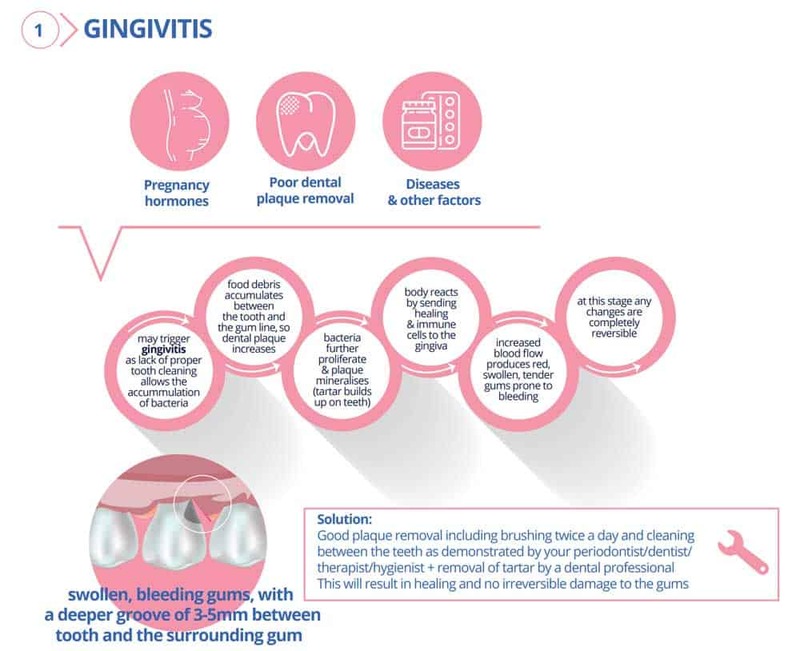 Normally referred to as ‘pregnancy gingivitis’ it starts from around about 2 months and can last the full term of the pregnancy. Having given birth, the body slowly changes the hormone balance and the susceptibility decreases. Keep up regular twice daily brushing and flossing as well as regular dental checkups. If you have concerns that the condition is getting worse, then seek the opinion of a professional. It is a bone of contention amongst professionals because many of the factors that cause or lead to gum disease are personal, such as poor dental hygiene. But, because bacteria that encourages plaque formation can be passed from one person to another, it is theoretically possible that kissing or the sharing of certain products like cups and utensils can transfer the condition. The reality is, that most with gum disease generally have an underlying condition that makes them more susceptible or they are making lifestyle choices that encourages such. What’s your advice on preventing gum disease? 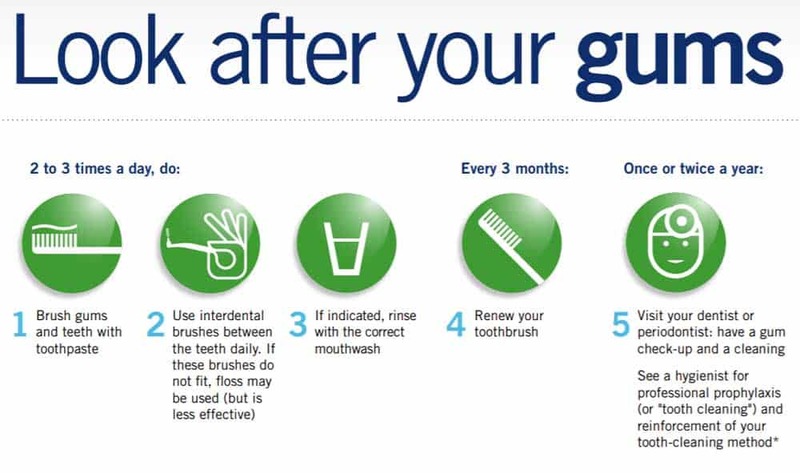 Its very easy to prevent gum disease, just brush and floss twice a day to keep your gums and teeth healthy. It is perfectly possible to help prevent yourself from getting gum disease. Gingivitis (the early stages of gum disease) needs to be prevented so that periodontitis does not develop. Taking preventative measures will certainly decrease the risk and likelihood, but this does not mean you have a complete guarantee that you will never get gum disease. This might sound incredibly simple, but the best prevention method is a good oral hygiene routine. What does a good oral hygiene routine look like? For 2 minutes each time. Always last thing at night and at another time during the day. Using an electric toothbrush will remove more plaque than a manual toothbrush. Pay attention to the gum line on all sides of your teeth. Interdental cleaning once a day. Make use of interdental brushes – these remove more bacteria than floss alone. Floss is also fine for tighter gaps. Replacing your toothbrush or electric toothbrush head every 3 months. Get a thorough clean from a dental hygienist every 6 months. A checkup every 6-12 months with your dentists. This all looks and sounds simple enough to most, but there is more technique to a good regime than you might think. Many people actually brush their teeth incorrectly or use the wrong tool for the job. Read the next section of this article ‘tools to help prevent and manage gingivitis’ to learn more. In addition to the oral hygiene routine, it is worth considering whether anything else can be done to help control or limit the possible risk factors that make some more more susceptible to this disease. It might be a hard one to kick, but stopping smoking can present obvious benefits for a variety of health reasons, notably reducing the chance of gum disease. It is one of the biggest risk factors for periodontitis. Whilst some medical conditions are out of the hands of the patient and the dental team, some conditions such as uneven stresses when chewing, poorly aligned teeth and poor dental restorations, can be treated. Only 2/3 of Brits brush their teeth twice a day . 1/3 only once a day & primarily in the morning when it has the least effect . 2% said that they don’t brush at all! As you may well have discovered, there is no 1 tool that will cure gingivitis, but a good oral hygiene routine will go a long way in managing and preventing the condition. Allow us to shine a little more light and insight into some investments you can make to better help yourself manage gum disease. The best tool you can invest in is free. That tool is you. If you take the time to learn how to brush the teeth, how to use interdental brushes and floss correctly, you will deliver better improvements than any individual toothbrush, toothpaste or physical product can. Many of us use the wrong technique when brushing. This is because we were taught incorrectly, or have never been shown. A study in Sweden found that 1 in 10 people had the wrong technique. Just 10% know how to brush correctly, meaning the risk of gum disease and decay is severely increased. The technique for using a manual toothbrush is different to an electric toothbrush as well. Did you know that you should hold the brush head at a 45 degree angle to your teeth and gums? Why not read over our guide on how to brush your teeth properly. In just a few minutes you can adapt your technique to help you brush better and remove more of that plaque. A manual toothbrush is perfectly fine to use, we like the Curaprox CS5460 Ulta Soft Toothbrush (view on Amazon) is one of our favourites, but there are many benefits to an electric toothbrush. 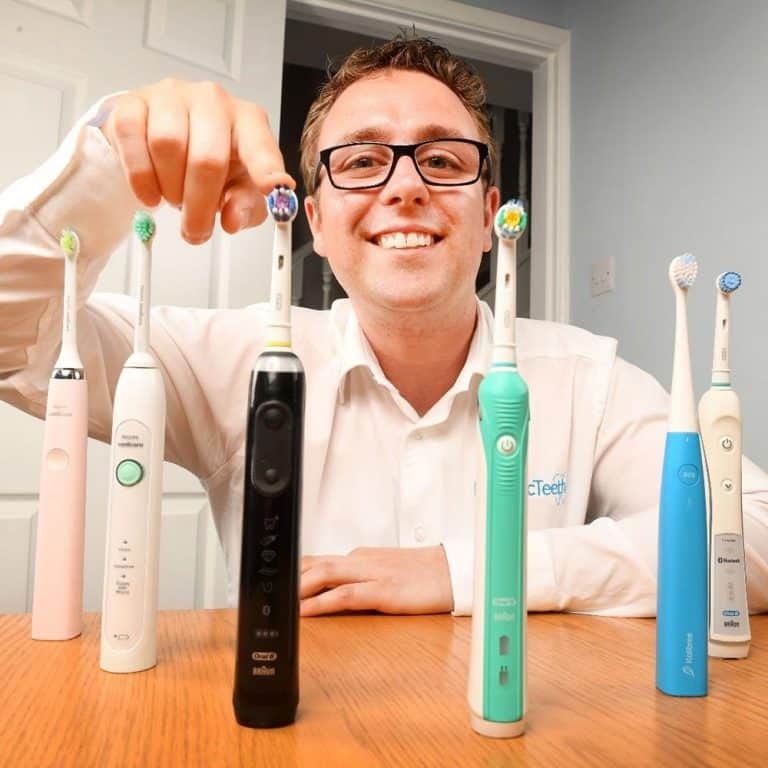 Here at Electric Teeth we have tested many different brushes and each month update our list of best electric toothbrushes, available to help you decide on the right one for you. The good news is that you need not spend all that much to enjoy the benefits they bring. For those that like technology, there are a number of brushes that connect via Bluetooth to your smartphone and track your cleaning performance, to give feedback on how well you did and ways you can improve. Often considered as ‘smart electric toothbrushes’ they are the latest innovation in helping you and I improve our oral health. Which brushes have Bluetooth? Click here to find out. Of course this involves buying a new toothbrush to benefit from the smart capabilities, but there are new innovations like Brushlink that can be fitted to your existing manual or electric toothbrush, to make it smart, if you so desire. Brushing the teeth alone leaves up to 40% of the tooth surface untouched, this is where interdental brushes and dental floss come in. Each work best for different people and different scenarios, but interdental brushes are now the gold standard. They are more expensive, but most people find them considerably more convenient and easier to use than dental floss. To understand why this is and how they benefit you, take a few minutes to read our guide to interdental brushes, it will tell you all you need to know. Having learnt the right technique, got yourself a toothbrush, interdental brushes, floss and fluoride toothpaste you are on the road to success, or are you? There are only a couple of ways you can really tell that all time and effort is paying off. If you have gingivitis, hopefully you will see the bleeding reduce or stop and the gums become a more healthy pink, rather than red colour. This can happen in as little time as one week! If you go for a dental checkup, your dentist will let you know if there is an improvement. But, there is another really effective way to check you are cleaning your teeth properly. This works whether you have gum disease or not and does not require a visit to the dentist. You can do it at home. This test is called plaque disclosing. It comes in the form of a small tablet you chew or a liquid you drop into the mouth. When it comes into contact with plaque it dyes it a certain colour. Our article on plaque disclosing tablets goes into more depth, but essentially, you then brush as you would normally and you can then see how much of the disclosing agent is left behind. If it is all gone, great, well done, perfect cleaning. If there is some left, take note of where you are perhaps not cleaning properly and adjust your techniques. The cost to treat gingivitis is relatively low all things considered. Gingivitis only requires prevention advice and possibly a quick clean. If you are eligible for NHS dental treatment within the UK, the cost will be £21.60 (England), £14.00 (Wales), £11.40 (Scotland) and £10.86 (Northern Ireland). Prevention and treatment of gingivitis falls under band 1 of the NHS dental charges, this cost covers the assessment and diagnosis by the dentist and the cost of cleaning the teeth. 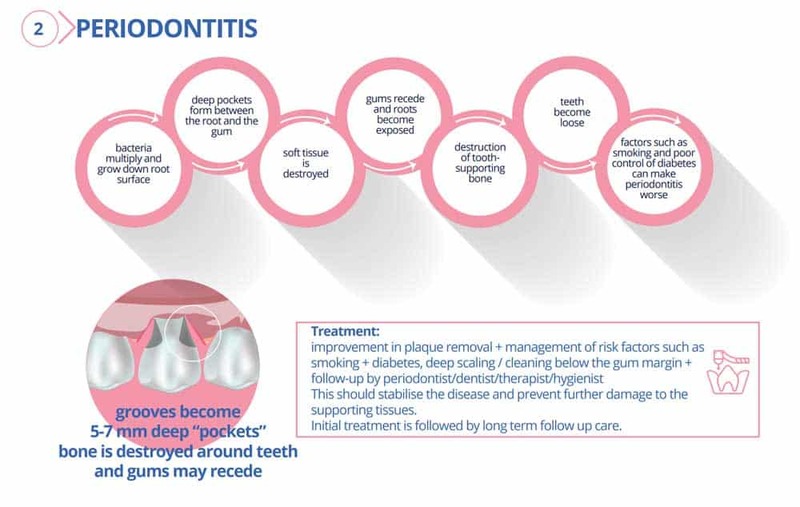 Advanced disease considered as periodontitis, treatment falls under band 2, which at the time of writing is £59.10 (Enlgand), £45.00 (Wales), whilst costs vary in Scotland and Northern Ireland. If you are not eligible for NHS dental treatment or opt to go privately, the cost for a consultation will usually be £20-60. A professional clean, depending on how deep a clean is required, will cost £35-100. Even with private dental treatment, costs should normally be around or under £150. In addition to this, to help take care of the teeth you have the cost of a toothbrush, toothpaste and interdental cleaning tools. You should already own these or would buy as a matter of course. All prices are subject to change and depend on your needs as a patient, the dental practice and their pricing policies. During this article we have discussed both gingivitis and periodontitis. We have focussed on the most common types of these diseases, that is gingivitis and periodontitis that is caused by bacteria in the mouth. Gingivitis is reversible, and will not always develop into periodontitis. However approximately 30% of people with untreated gingivitis will progress to periodontitis. Only a small number of cases are caused purely by medication or an underlying condition, despite excellent oral hygiene. The following table gives a brief overview of the differences and what you can expect with each stage of the disease. Symptoms	 Red and swollen gums that bleed. Bad breath. Calculus build up. Receding gums. Loose teeth. Loose teeth. Pain while eating. Effects on dental health	 No long term effects if treated early. Damage to bone and gum tissue. Possible tooth loss and misalignment. Damage to bone and gum tissue. Tooth loss. The following video is an excellent watch and summaries all that has been covered in this article. As mentioned before, we have focused on gingivitis and periodontitis caused by bacteria and poor oral hygiene. 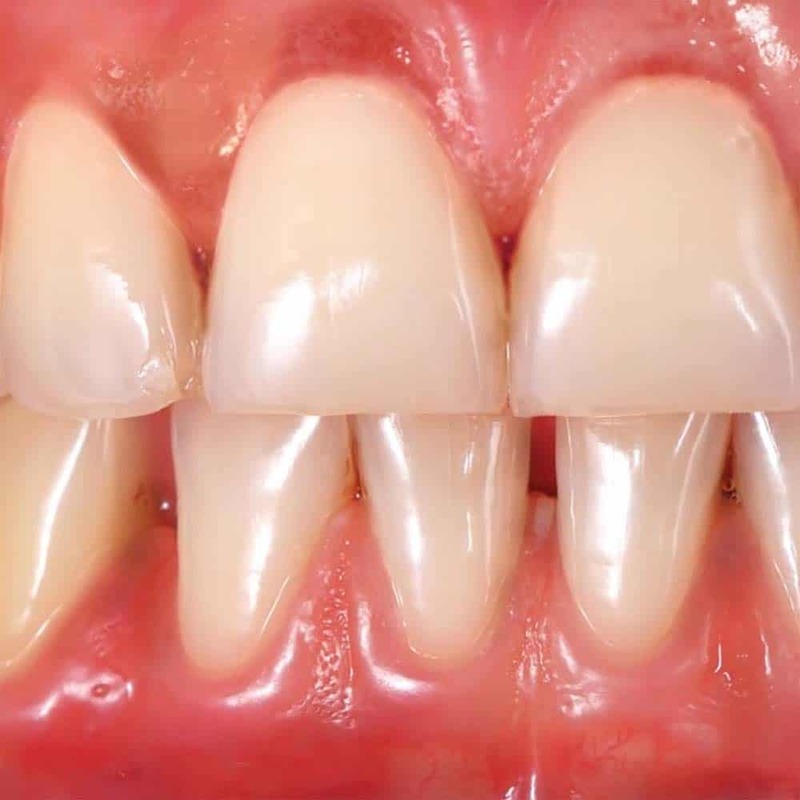 These are called “plaque-induced” gingivitis and periodontitis. There are a number of other conditions that can affect the tooth-supporting structures. These are also infections caused by bacteria or viruses, and may even show similar symptoms to the plaque-induced diseases. An infection of the gingival flap that lies over a partially erupted tooth. Most commonly associated with wisdom teeth. Normally cause by food getting trapped underneath the flap of gum. Caused by the herpes simplex virus. Causes lots of ulcers over all the gums and cheeks in the mouth. Inflammation will likely exist along with blisters. Shortened to ANUG or AUG, this is a form of gingivitis associated with severe pain and bad breath. The gums turn a bright red, with a yellow/grey coating. 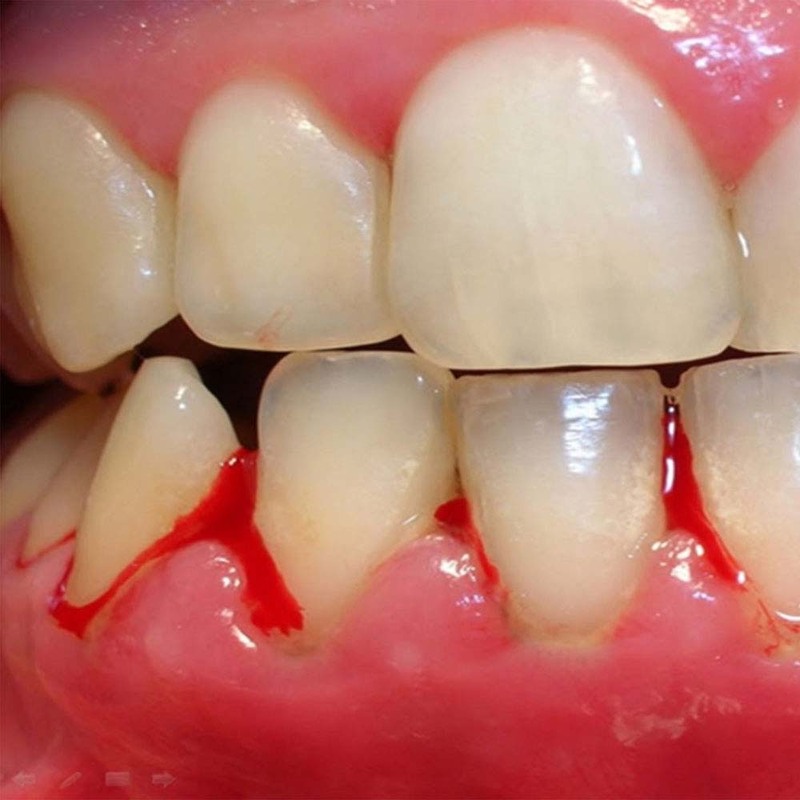 The triangle of gum between the teeth forms and ulcer and bleeds. Traditionally called “trench mouth” this is associated with a poor diet and smokers. An occasional complication of chronic periodontitis. Pus forms in the periodontal ligament but is unable to drain through the gingival sulcus so instead forms an abscess at the base of the pocket. For diagnosis and further information, speak to your dentist. Plaque induced gingivitis is the early stage of gum disease. Over 45% of the population suffer from it, but it is treatable and the effects can be reversed. The symptoms are often very clear red, swollen, bleeding gums that can be sensitive. A relatively easy problem to fix, aside from the need potentially for a professional clean of the teeth, a good oral hygiene routine is generally the answer. Learn how to clean your teeth properly, get the right tools and you can very easily reverse the condition or preferably prevent it occurring at all. Failure to reverse gingivitis can lead to the development of periodontitis, the loss of bone holding the teeth in place. Ultimately you can lose teeth at an earlier age than otherwise expected. Red coloured gums, with a shiny look the them, rather than a softer pink colour. For more information read the section of this article called ‘Gingivitis Symptoms‘. Can gingivitis be cured/is it reversible? Gingivitis can be cured in most cases with nothing more than a professional tooth cleaning and then a good at home oral hygiene routine. Gingivitis will go away if you brush and floss the teeth properly, getting rid of all the plaque that causes the condition. Gum disease is not normally linked with headaches. However other dental issues can be associated with headaches. An incorrect or uneven bite can put pressure on muscles and nerves that trigger headaches. If you think you are getting headaches as a result of a dental issue, it is best to see a dentist for a professional opinion. Can gingivitis make you sick? Gum disease will leave you with red, sore, swollen and bleeding gums, which left untreated can get worse and lead to tooth loss. Gingivitis and more severe gum disease can put you at more risk of becoming ill with conditions such as heart disease. Gingivitis will not typically make you sick like a stomach bug or flu might. The cure for gingivitis is removing the bacteria thorough a good brushing and flossing routine. A professional clean of the teeth can help. Learn more here. Can babies, toddlers and children get gingivitis? Yes. Just like adults, the plaque forms, builds up and can irritate the gums is not removed with tooth-brushing. Babies with no teeth will not be susceptible but as soon as the first teeth come through the battle to clean away the plaque is on. Plaque removal is the key to treating gum disease, so you can do that with an all natural toothbrush if you wish. DIY toothpastes are an option, but there are too some manufactured pastes such as Earthpaste that are made from just 7 natural ingredients. Braces in their own right do not cause gingivitis, but do provide more surface area for bacteria to stick to and plaque to form. Gingivitis is centred around plaque along the gumline and few braces make contact with or are position close to the gum tissue. Nonetheless, it is important to brush the teeth and all the gaps of the brace thoroughly to remove the buildup that may exist and help reduce the chances of contributing to plaque buildup and potential dental issues. Gum disease dentist near me? For the early stages of gum disease, you do not necessarily need to see a specialist dentist to help treat the issue. Typically you can solve the problem at home or with the assistance of your regular dentist and/or dental hygienist. Periodontists are the professionals that deal with the advanced stages of gum disease. To find one near to you, then you can use the General Dental Council find a dentist tool available here or do a web search for ‘Periodontotist xxxx’ (replacing xxxx with your location). You general dentist can usually refer you to a specialist, if required.